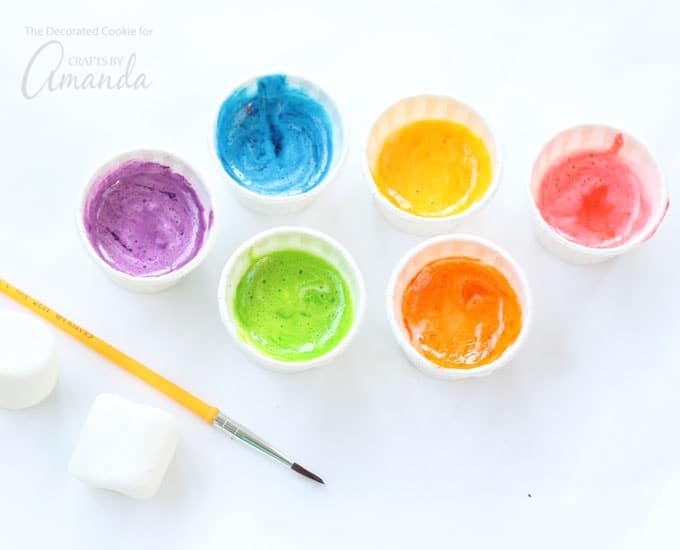 Kids and grown-ups alike can use this yummy marshmallow edible paint to decorate cookies or use the mixture as a kid-safe paint to draw designs on paper. 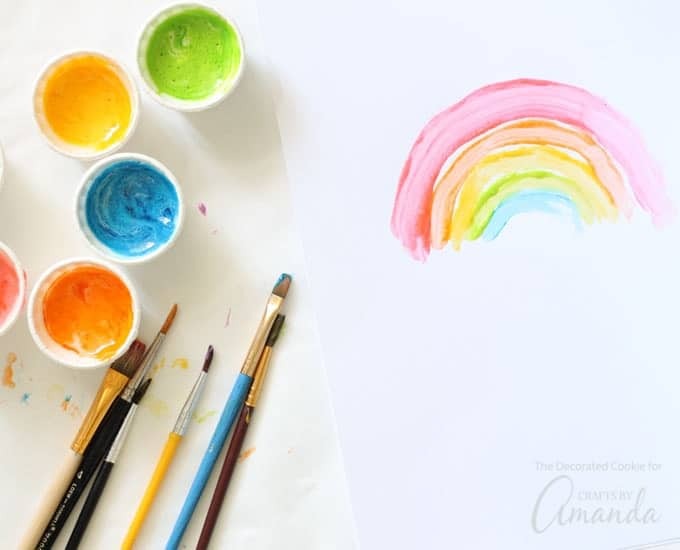 Now is the perfect time to try out this handy craft for kids. 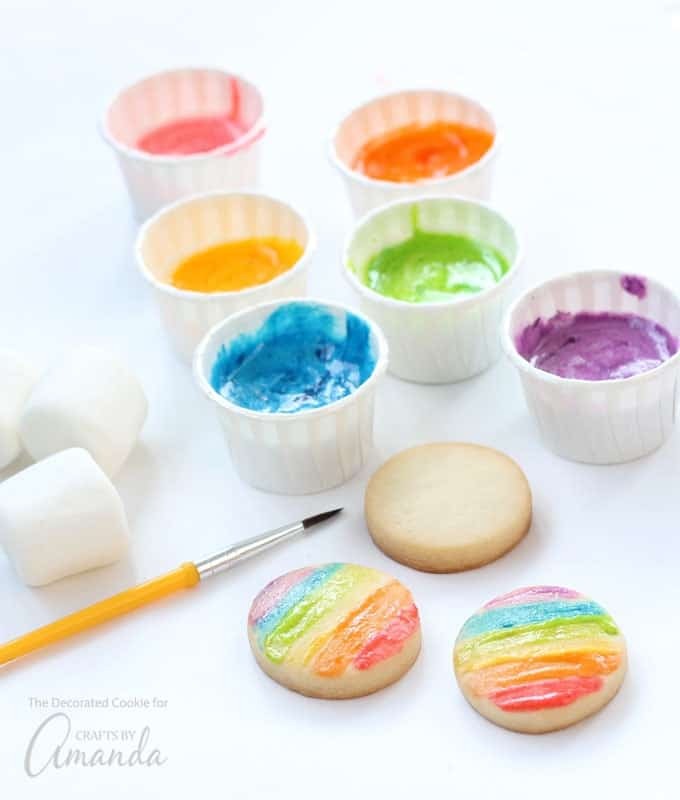 Marshmallow paint is a quick and easy way to let the kids decorate cookies all by themselves. 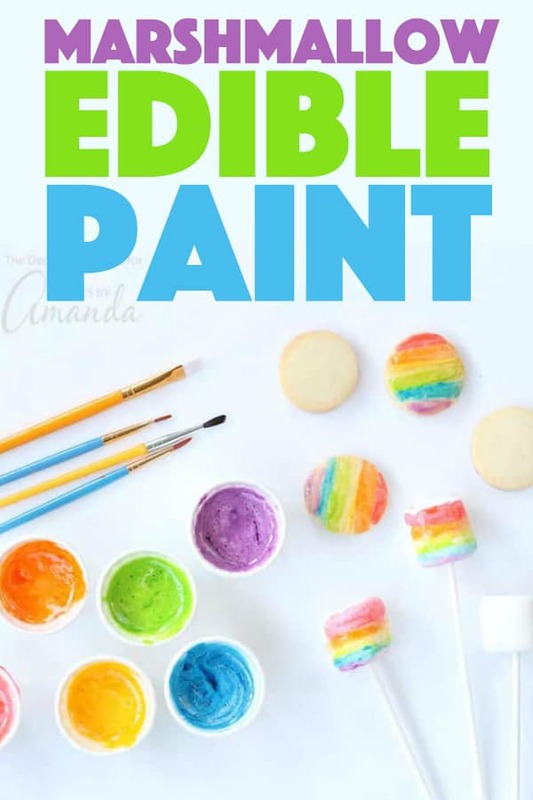 Or, host a cookie and marshmallow decorating party, and instead of the harder-to-wield frosting bags, put out marshmallow paint and brushes. Need more ideas for letting kids play with their food? 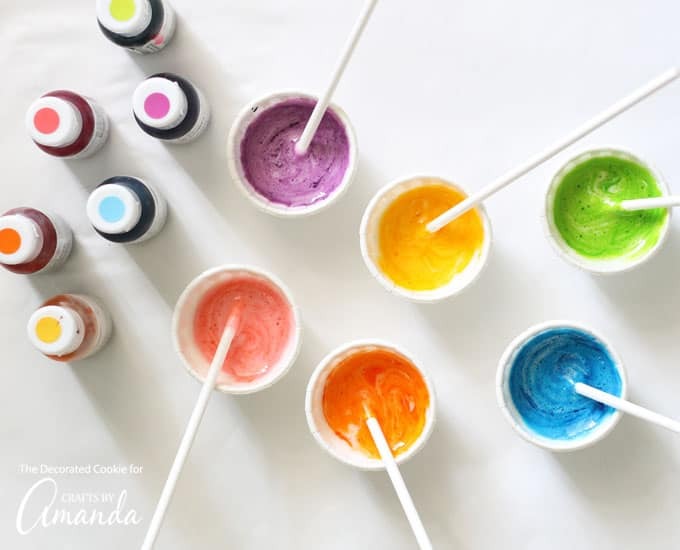 Check out this roundup of fun food activities for kids. If you’d like to try drawing on food with edible writers, check out this post for more information. Place the marshmallows in a microwave-safe bowl. Microwave for 30 seconds. The marshmallows will puff up a bit. Stir in the water and continue to microwave for an additional 30 seconds. Stir well to let the residual heat melt the marshmallows fully. Stir until smooth. If necessary, continue to microwave at 15-second intervals. Stir in the light corn syrup to desired consistency. 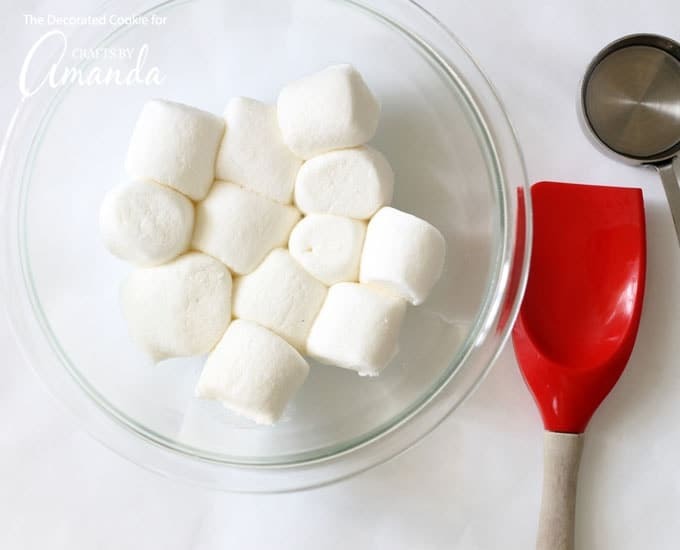 Divide the marshmallows among different containers. 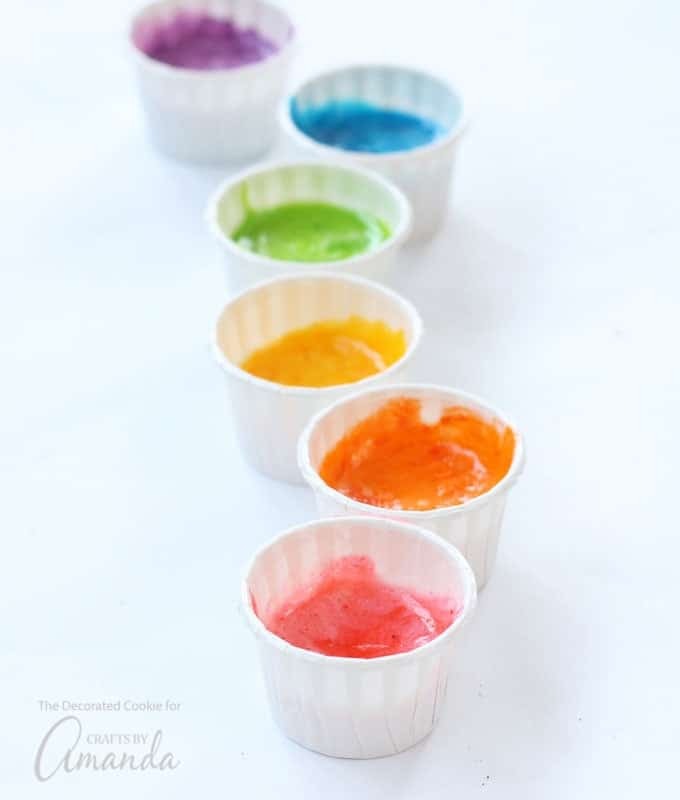 Stir in a few drops of food coloring (gel paste food coloring used here) until desired shade is reached. Let cool enough for kids to handle. To paint, use popsicle sticks or clean, unused paintbrushes. Store remaining paint in a sealed container at room temperature for up to three days. Note that the paint does dry well enough to handle, but it does remain a bit sticky. So you won’t be able to stack cookies decorated with edible marshmallow paint. 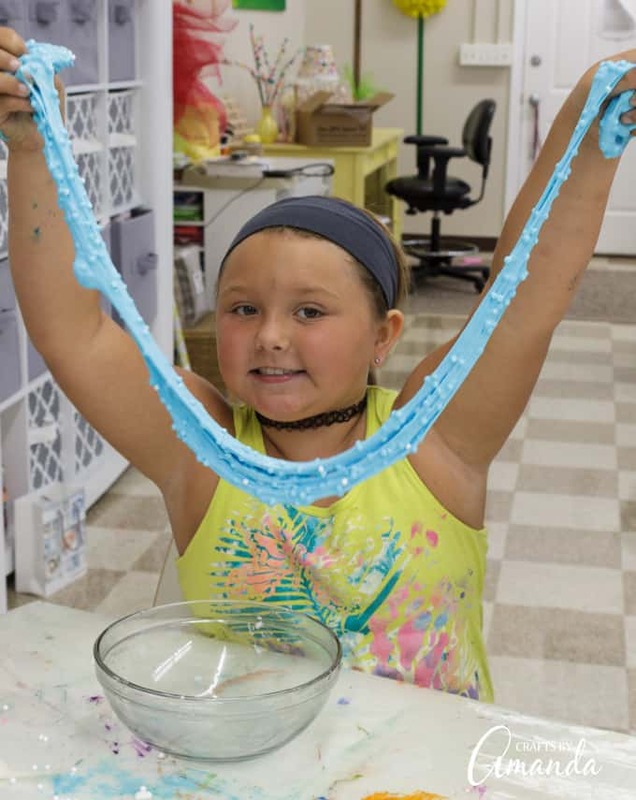 For another fun kids craft, check out how to make homemade floam. This project will be one your kids don’t want to put down! 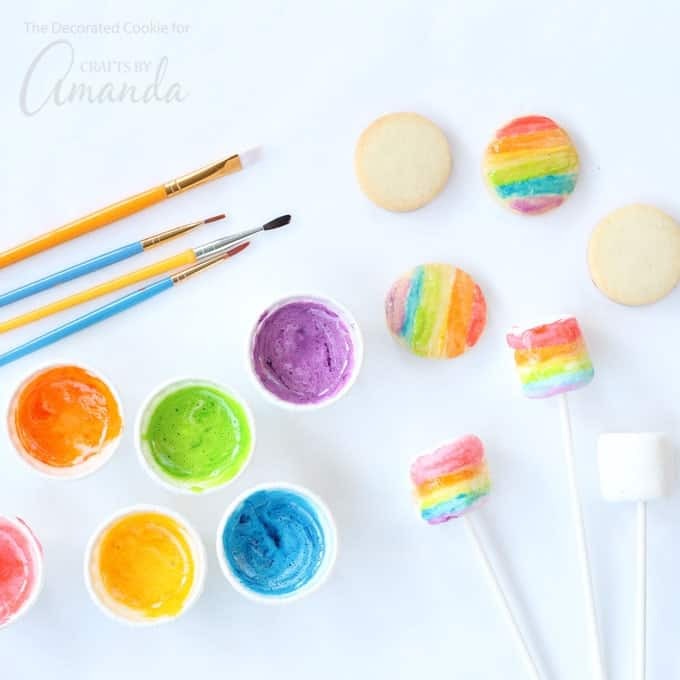 Edible marshmallow paint is a quick and easy way for kids (or grown-ups) to decorate cookies and marshmallows. Place the marshmallows in a microwave-safe bowl. Microwave for 30 seconds. The marshmallows will puff up a bit. Stir in the water and continue to microwave for an additional 30 seconds. Stir well to let the residual heat melt the marshmallows fully. Stir until smooth. If necessary, continue to microwave at 15 second intervals. Stir in the light corn syrup. Note that the paint does dry well enough to handle, but it does remain a bit sticky. So you won't be able to stack cookies decorated with marshmallow paint. This post was originally published on this blog on Oct 9, 2017.